Triton 1 and 2 are 3U CubeSat. The purpose of the Triton satellites is a radio science mission which aims to test an experimental advanced AIS (Automatic Identification System)receiver. Telemetry decoding software will be made available which will allow radio amateur operators to listen to periodic downlink broadcasts containing housekeeping telemetry, payload telemetry as well as received AIS messages. Science mission for 3 Months and amateur radio mission as long as possible after the science mission finishes. RA of A. Node        ? A single channel mode U/V (435-145MHz) FM to DSB transponder. A single channel mode U/S (435-2400MHz) FM to FM transponder. Possibly (power budget permitting), both payloads may be switched on at the same time. The Triton-1 satellite carries two redundant TRXUV UHF/VHF transceivers, labeled TRXUV-0 and TRXUV-1. Radio: TRXUV-0 or TRXUV-1 (only one of these will be active, no alternation). Radio selection is upon ground command. The UHF uplink frequencies will be announced by the project team once the satellite becomes available for amateur operations. 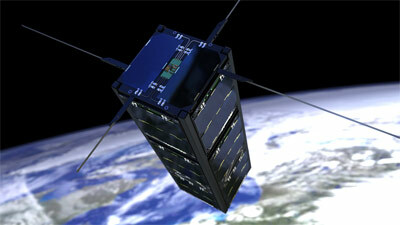 After deployment from the ISIPOD, the satellite will be operating in safe mode. You can use the Safe mode beacon content decoder to translate the CW beacon characters to engineering values. Triton-1 Active. The November 21st ISILaunch03 DNEPR launch carries the Triton-1 satellite, but not the Triton-2 satellite. The launch date for the Triton-2 is still to be determined at this moment. Latest Triton news from ISIS.